Can anyone ask for a copy of the detailed medical report from Insurer? I am 39 years married with a son and residing in Kumta. I wanted to buy a term life insurance plan with a sum assured of INR 2 Crore and paid the premium of INR 16,000. 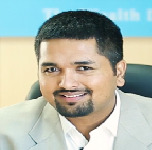 After the medical tests the insurer increased the premium by INR 7,000. They said I consume tobacco which I have never done in my life. I’ve asked for a copy of the detailed medical report and am waiting for the same. What should I do. Please advise? It's very good that you asked for the medical report based on which the loading has been advised. Insurers are allowed to accept or reject a proposal during the underwriting stage. In select situations, they can issue a counter-offer to the customer. It is up to your discretion to accept or reject the counter-offer. Insurer cannot force the counter-offer on you. In your case, you can reject their counter-offer. You will get a refund of the premium you have paid. Even if you decide to pay the premium,you still have 15 days after the receipt of the physical copy of the policy documents called the free look period, where you can cancel the policy. You will get a refund of the premium after deduction of medical test charges and administrative expenses. These could be the reasons why nicotine was found in your blood: 1. Insurers do a cotinine blood test to determine if nicotine is present in blood.Apart from human error, your diet and work environment can lead to a positive test result on nicotine. 2. Foods such as cabbage, garlic, almonds, and some others lead to high levels of thiocyanate. This could result in a false positive for nicotine. 3. Also, people working in heavy metal industries tend to have high thiocyanate levels.